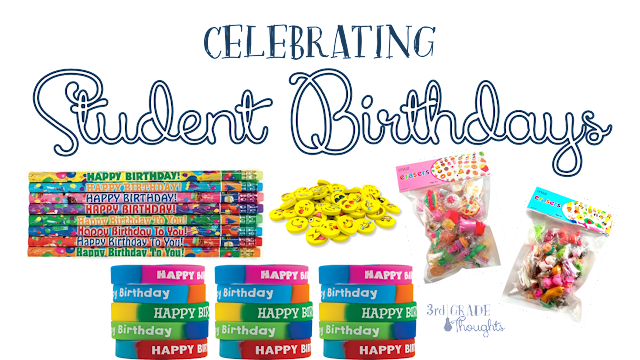 Throughout the years, celebrations have changed and I wanted to share this year's traditions with you in case you were looking for some easy ways to help your students feel special on their birthday. We hold Morning Meeting in our class every day. Read more about Morning Meeting HERE if you don't have one going in your classroom already. 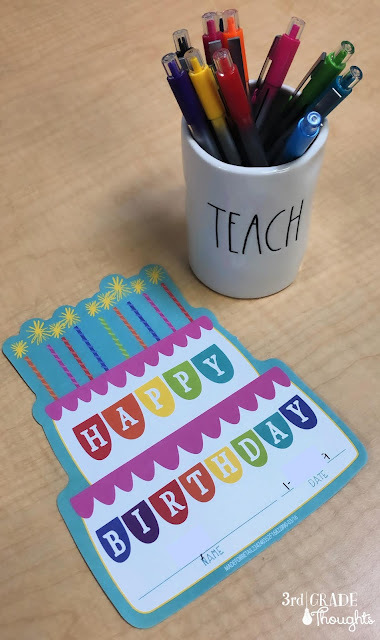 Every morning, we gather in an oval on the rug to greet each other, check-in, and when it's a student's birthday, celebrate with a Birthday Circle. The special student will take a seat on the Morning Meeting chair and will pass the talking stick around. When it gets back to the student, we sing "Happy Birthday" as a class and give applause at the end. Even if you're pressed for time in the morning, you can squeeze this in. I have also done it after lunch time when kids first come back into the room. It takes less than ten minutes and it's a great way to set the tone for that child for the day. 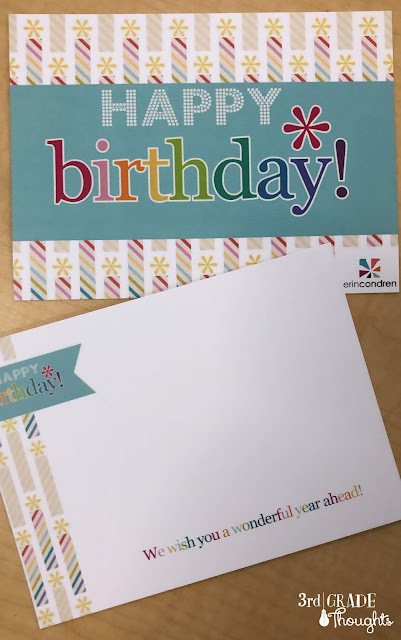 Another way we honor the student is by everyone signing a birthday card. Last year, they signed these lovely customized cards from Erin Condren. They have three beautiful designs this year: one with SCRIPT, one with DOTS, and one with STRIPES. 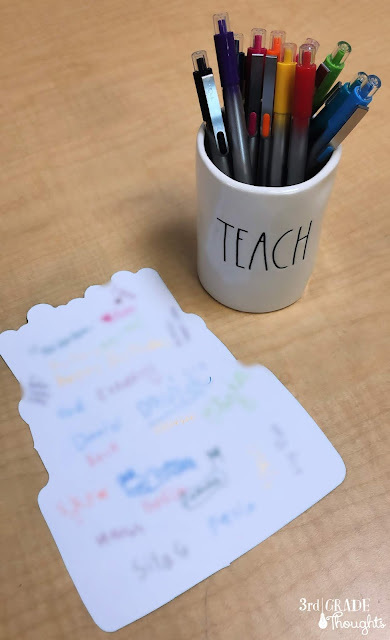 I bring out my super-fancy teacher pens and kids can choose a color to sign their name. Side note: These are my absolute favorite pens. 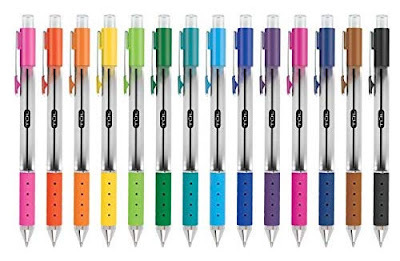 They are gel pens that don't smear and have a solid, consistent line the entire time. Plus, all of the colors are so bold, even the yellow! I use them on my planners and they don't leak through. I am in LOVE with these pens! When the card is finished, it is a great gift for the child to take home and keep from all of us. I have also included pencils, an eraser (these food-themed and animal-themed ones are always a hit), and a bracelet for the child, too. Because of allergies over the years, I have cut out the snacks and don't miss it one bit. We're still able to celebrate and I find we have more time for things like the Birthday Circle and cards because I'm not busy passing out cookies or cupcakes that some kids can or can't have. 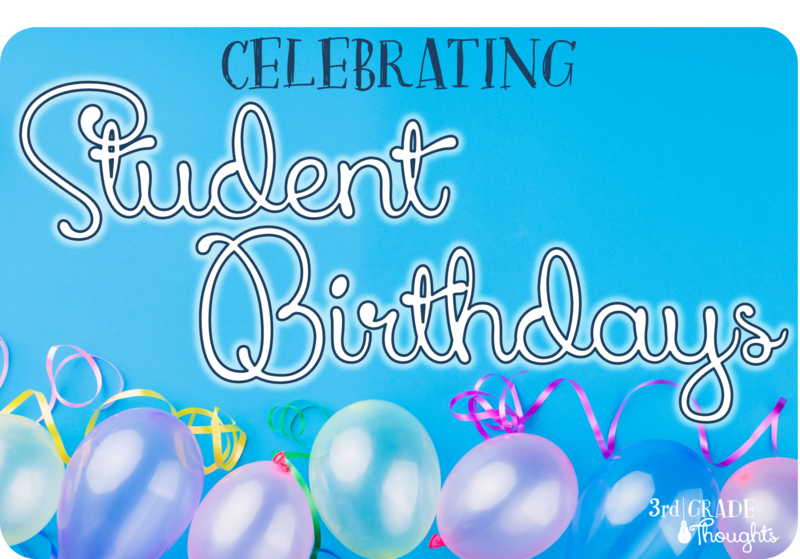 Celebrate on the Fridays leading up to summer break-- every Friday is one student who has a birthday in June or July. 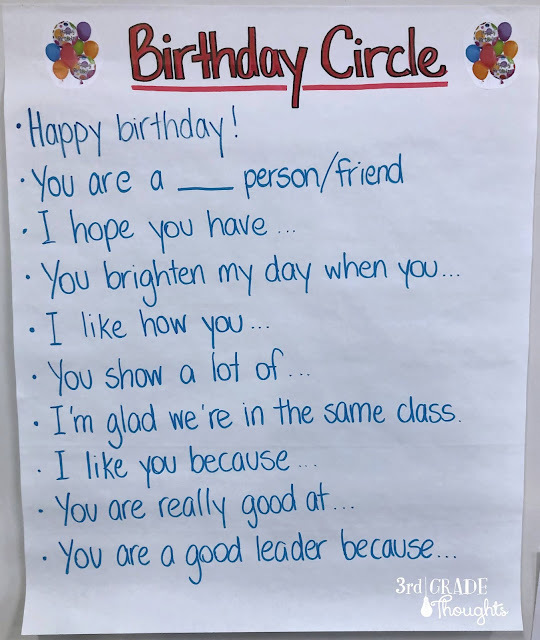 I just start from the last Friday and count back until every student has had a Birthday Circle. I let students choose. I also let weekend birthday students choose if they would like to celebrate on Friday or the following Monday. They typically have a pretty good idea, so I just go with what they prefer. How do you celebrate? Do you still have food or are there non-edible options you use to honor your special student that day?